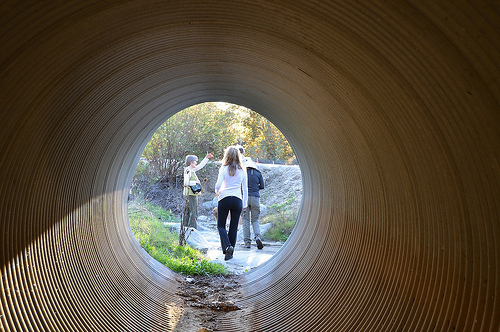 Cue Pink Floyd: We don't need no tunnel vision. Photo: Joshua Link, Ecotone Studios. Ever been on an Ancient Tree Hunt? Seen the decorative skirts placed around trees by Shinto worshipers? Tie a yellow ribbon “round the ole oak tree” or gone to a Shakespeare production in the center of an oak woodland? Ever play “Robin Hood” in an oak woodland? Any woodland? Ever play? You know where I’m heading with this. LA-area place names like Encino, Los Robles (both Spanish for oak), Sherman Oaks, Fair Oaks, etc hint to us of woodlands past. An oak reputed to be 400-years old on Caltech’s campus demonstrates that their presence was no fluke. 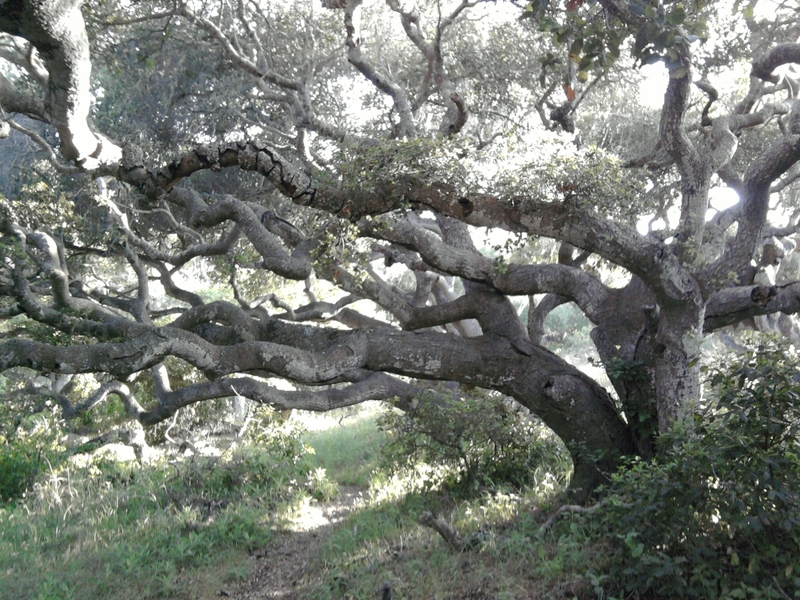 Oak woodlands belonged to Southern California. How many do you know of today? 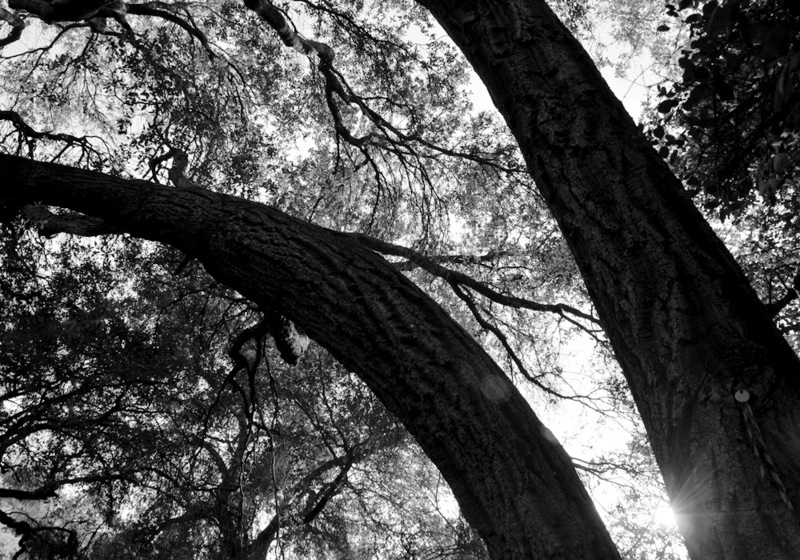 Today the moratorium to level a century-old oak woodland in Arcadia ends. With security fencing lining the perimeter of the site, it is difficult to imagine that the County has arrived at a different outcome after their moratorium to re-think the approach. And while I’m not sure what that means to them, it speaks volumes to me. Mitigation may replant oaks, but the interplay and evolution of organisms from microbes to mammals takes time to repair – and will occur uniquely in different locations. 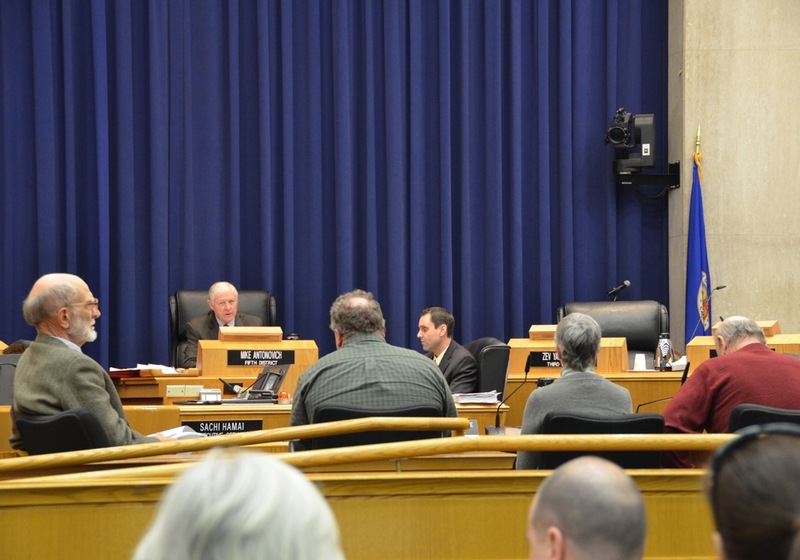 Supervisor Antonovich will be lucky if his great-great-grandchildren are able to find equivalency in the experience of this mitigation project as adults. Given the quality of environmental values on display here, his great-great-grandchildren may very well be fortunate to know any kind of nature in Southern California at all. But they will have many a dirt pile to look at. Those too will likely be fenced off. Make me wrong, Supervisor. Make me eat my words. Please. I’d love that. 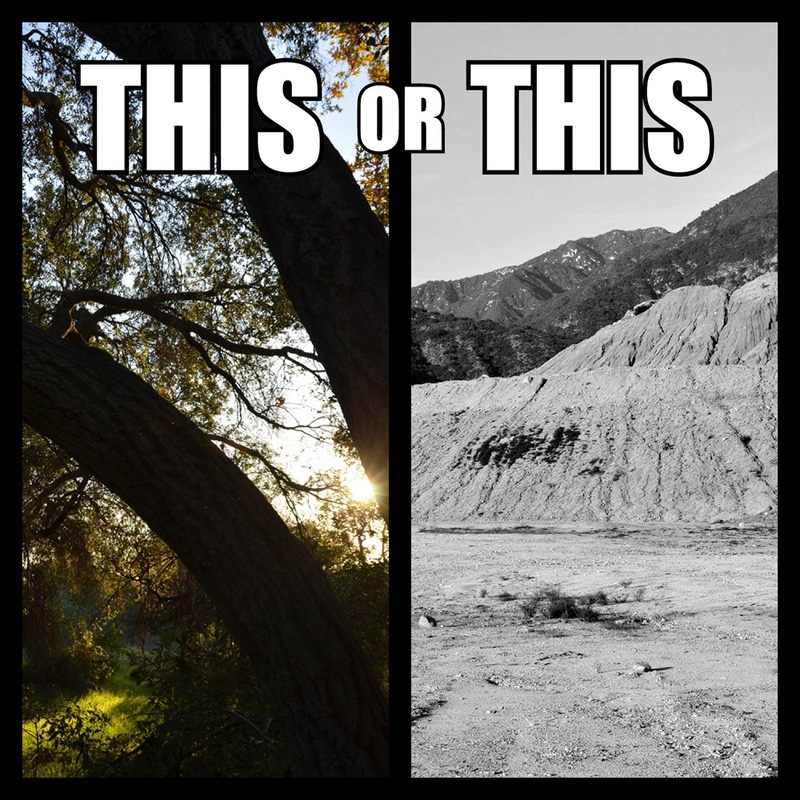 Today bloggers are uniting to express their opposition to this proposed conversion of an oak woodland to a silt pile. Here’s a link to other blogs participating (this list will be updated throughout the day). Many of them have also been covering the issue for a while, with excellent updates and open letters (linked at Creekfreak’s earlier post by Josh Link). 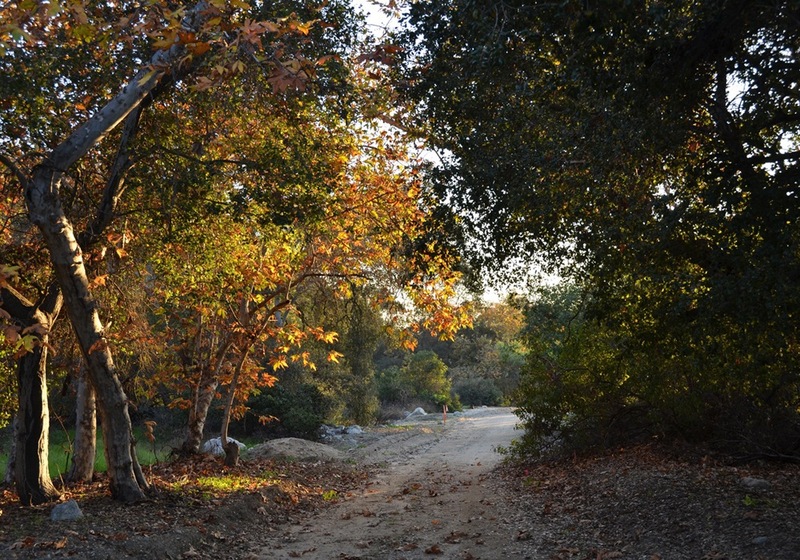 And thanks to LA Observed for linking to Josh’s Arcadia Woodlands Update post and to the Arcadia Patch and Sierra Madre Patch for recognizing our blogger effort – and doing a splendid job reporting on the issue. I also want to give a nod to the Sierra Madre Tattler who I’m told has been behind the ball on this one all the way through. You are currently browsing entries tagged with oak woodland at L.A. Creek Freak.